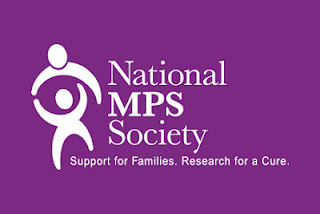 MPS information: A post dedicated to a very special "Girly"
I have blogged about MPS a few times over the past few years and I would like to share that information again, with some modifications of course. Eight years ago I was hired at a new school and met a very special young lady whose has touched many lives of both adults and children. Everyone who comes in contact with her, just falls in love. She taught me so much about how awesome my students are. This sweet young lady's name is Mackenzie and she had a disease called Mucopolysaccharidoses (MPS). Mackenzie passed away this week and I felt that a blog post in her honor was in order. MPS was something i knew nothing about when I met Mackenzie, so I made sure to learn more. According to the website for the MPS Society "...MPS and related diseases are genetic lysosomal storage diseases (LSD) caused by the body’s inability to produce specific enzymes. Normally, the body uses enzymes to break down and recycle materials in cells. In individuals with MPS and related diseases, the missing or insufficient enzyme prevents the proper recycling process, resulting in the storage of materials in virtually every cell of the body. As a result, cells do not perform properly and may cause progressive damage throughout the body, including the heart, bones, joints, respiratory system and central nervous system. While the disease may not be apparent at birth, signs and symptoms develop with age as more cells become damaged by the accumulation of cell materials." There is a big range in the type of MPS an individual can be diagnosed with. I chose the color purple for this post because it was Mack's favorite. My prayers and thoughts are with her family at this time. Please help remember her by sharing information with others about MPS.